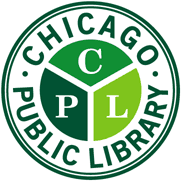 Seniors are invited to an introduction to computers workshop from 1 p.m. to 2 p.m. on Thursday, February 7, 2019, at the McKinley Park branch of the Chicago Public Library, 1915 W. 35th St., Chicago. Participants will learn computer basics such as how to start a computer and operate the mouse and keyboard. The workshop is especially for seniors, but everyone is welcome. Please call (312) 747- 6082 to register.